Rewind to ten years ago, when we would look for style inspiration and make up tips inside the pages of glossy magazines. 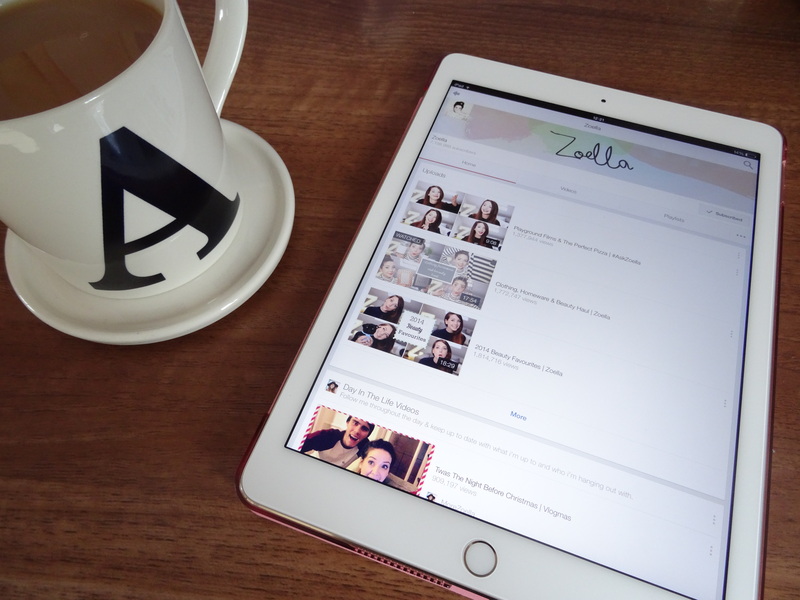 Nowadays, we look to vloggers and bloggers, whose empire is built over the internet as they bring in millions of views over internet platforms such as youtube and bloglovin. The craze started when people such as Zoe Sugg aka Zoella and Tanya Burr sat in their bedroom and filmed make up and hair tutorials, as the viewers began to escalate, so did their brand. Youtube appears to pay very well, and it also has its perks such as thousands of free products being sent to them and invitations to incredible events such as fashion week. Tanya Burr was recently named the 17th most influential young person in the Guardian’s Top 30 Young People in Digital Media, her hobby became her career and ultimately her success story. Now these youtubers have expanded to having make up lines, books and even their own live shows held all over the country. Most young people became interested in bloggers and vloggers because they were relatable, they would regularly upload daily vlogs of every day life depicting that they are just ‘normal people’. As years went by and the simple camera in their bedroom turned into a full blown lighting, expensive cameras and impressive editing software, what originally was their hobby, turned into their full time job. Along with the millions of viewers, they appeared on the news and in magazines and their lives didn’t seem so relatable anymore. Has the blogging and vlogging industry lost its authenticity? It started out with young people writing their opinions and experiences online, or documenting it via youtube. These days it isn’t as real, they are constantly sent products to write about, invited to film premiere’s and sent on sponsored trips, not reflecting normal life but creating a new kind of celebrity culture. 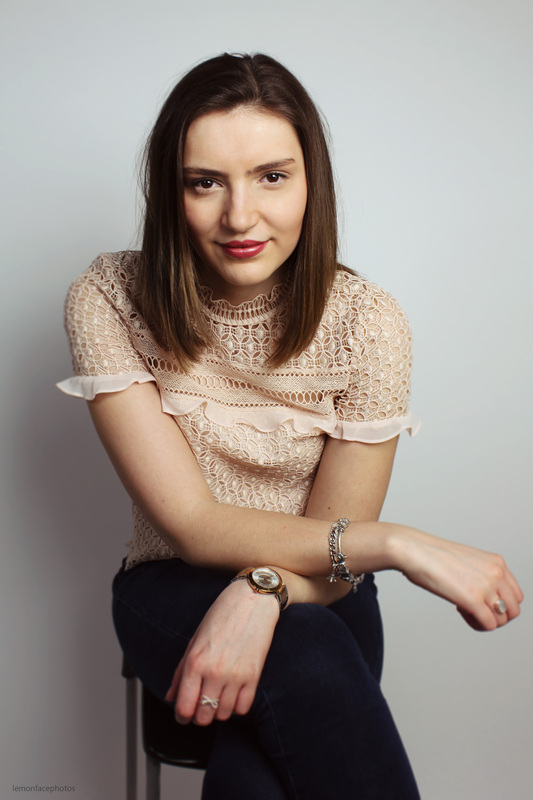 Many bloggers are now managed by different companies such as Gleam who manage vloggers such as Zoella, Pixie Woo, Tanya Burr and many other well known youtube stars. Their job is to organise their events and “meet ups”. I recently watched an old vlog of Alfie Deyes where he arrives at his book signing and their car gets mobbed by hundreds of screaming fans. Don’t get me wrong, I am addicted to watching their youtube videos and reading their blogs just as much as the next person, but I don’t see them as bloggers anymore, I see them as celebrities. I truly admire the way they have created their brand as they have built an empire on what they love to do. I write on my blog because I love to write and I wanted people to read it, not because I want to be the next blogging star. I’m always reading blogs online and I’ll admit that I’m always attracted to the eye catching expensively designed blogs, with perfect layouts. I’m not criticising these blogs because I love them, I love how people have made a career out of what they love. I just feel that the blogging industry isn’t as genuine. When visiting universities to look at Journalism courses the teachers urge you to create a blog or youtube channel and get yourself out there because no one cares what you write about if they don’t find the person writing the content likable. Thus proving how the industry has changed. People aren’t as interested in hearing your views and opinions if they don’t know the person behind those views and opinions. Hence the importance of social media such as instagram and twitter to create your platform and give people a glimpse into your life. After reading my favourite blogger Hannah Gale’s post about creating your brand. Her fifth point “be relatable” is what I am referring to, for example I love Hannah Gale’s blog because she writes about relatable topics, her make up hauls aren’t full of designer make up brands, she tweets about embarrassing moments and days full of anxiety and her vlogs are normal and relatable. In one of her latest videos titled “The average day in the life of Hannah Gale” the description states “Because it’s not all afternoon teas and free make-up and sauntering off on press trips (although sometimes it is).” Whilst I wish her the absolute success, I do hope that as her brand and blog expands she still maintains the engaging relatability in her writing. To all the bloggers and vloggers out there, please do show us your reviews on the latest products and vlog your wonderful holidays and press trips because we all are genuinely interested. However make sure once in a while you give us a glimpse into your real life, the one behind the instagram filters, because at the end of the day, the blogs we love to read and the vlogs we love to watch are the ones we identify with.